based economy, Qatar’s early-stage ecosystem development is impressive. Where elsewhere there may be competition, in Qatar there is collaboration. 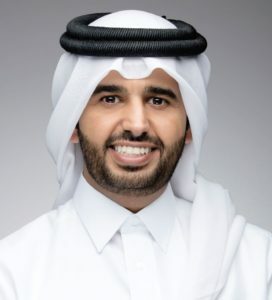 The ambitions that Qatar Development Bank’s (QDB) CEO Abdulaziz bin Nasser Al-Khalifa carries for Qatar’s small businesses is an encouraging sign for the country’s growing entrepreneurial population. With Qatar more serious than ever in its bid to shed the “oil and gas nation” tag, and given its fierce focus on creating a knowledge-based economy, the time is also ripe for Al-Khalifa and the large portfolio of organisations he’s associated with to turn their ambitions for Qatar into reality. How has QDB evolved over the last 20 years and how has the SME landscape developed in that time? QDB was established in 1997 as the Qatar Industrial Development Bank (QIDB) in a fundamental step to expand Qatar’s indigenous industrial infrastructure. The aim of the newlycreated 100% government-owned developmental organisation was to develop local industries. In 2007, as a reflection of the government’s trust and confidence in the bank’s capabilities, our mandate was expanded and the bank was transformed to Qatar Development Bank. Since then our portfolio has also significantly expanded. In 2008, our authorised working capital grew from QAR 200m to QAR 10b. In 2010, we launched the Al Dhameen Programme, our indirect loan facility scheme, in partnership with 13 banks in Qatar, to help improve access to finance, making it more readily available to entrepreneurs. In 2011, we launched our dedicated export programme, Tasdeer, with the aim of promoting Brand Qatar locally, regionally, and internationally. Between 2012 and 2015, we worked towards offering Islamic financing products as well as online banking services for the benefit of local entrepreneurs. It was also during this time that we invested in our joint ventures—the Bedaya Center and Qatar Business Incubation Center—in order to develop and empower youth entrepreneurship. In 2015, we merged with Enterprise Qatar and launched an SME development strategy for 2015 to 2019. Today, QDB is a centrepiece to achieving the Qatar National Vision for 2030. The truth is that traditional models only work for traditional times. This is an extraordinarily fast-paced, tech-savvy era. Today the definition of entrepreneurship has changed, as has the SME landscape. Owning a business holds cultural consequence and is easily achievable by anybody who has identified a societal need and thinks they know how to satisfy it. So in essence, society has become more integral to solving its own problems. In what ways has an entrepreneurial ecosystem and mindset developed in Qatar, and how can international partners support this? 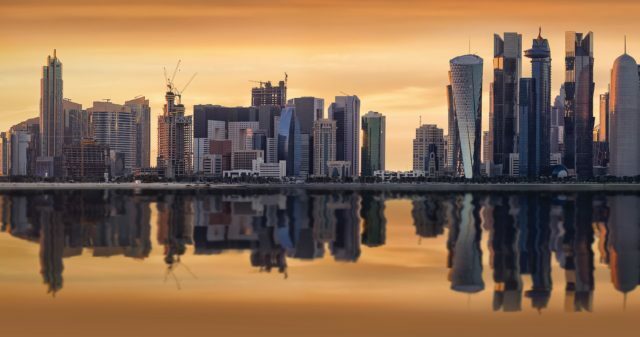 The SME ecosystem is rapidly taking root and developing across Qatar, evident not only in the growing number of SMEs catering to this growth, but also organisations specialising in entrepreneurial development. For example, SMEs may now make use of the resources offered through the Qatar Business Incubation Centre and the Bedaya centre (both subsidiaries of QDB), as well as Qatar Science and Technology Park. For our part, we cooperate continuously with various partner organisations in order to cultivate an environment conducive to SME growth. Our efforts stem from the belief that we must harness our collective resources to achieve extraordinary successes for SMEs in the country. Since 1997, we have adopted a holistic approach to develop Qatar’s indigenous industrial infrastructure and it is this multifaceted approach to industrial development that sets us apart from other development organisations. To this end, we lend extensive support to all of the eight different industries identified as top priority in the country’s diversification push, including the manufacturing, healthcare, education, tourism, agriculture, livestock, fishing, and services sectors. All the same, we are strong advocates of all organisations that promise and deliver development to entrepreneurs and SMEs. This is because at QDB we understand that delivering upon a promise of entrepreneurial support is not the exclusive domain of any single organisation—it is a common obligation shared by all relevant Qatari organisations. Here, I would like to highlight the example of His Highness the Emir Sheikh Tamim bin Hamad Al-Thani for instilling this cooperative attitude among the country’s organisations by reminding us that taking ownership of our national progress is important. Thus, I would like to dismiss the notion of having “competitors” – because all relevant Qatari and Qatarbased organisations that deliver similar entrepreneurial development and SME-friendly services are in fact our partners. For example, entrepreneurs and SMEs may now avail the support of resources like Qatar Business Incubation Center (QBIC), Enterprise Qatar (EQ), Qatar Science and Technology Park (QSTP). So far, we have already cooperated with the abovementioned local organisations involved in the common interest of the development and empowerment of our youth and local businesses. Furthermore, we have also cooperated with international companies based in Qatar, such as Qatar Shell – an organisation that since 2013 has contracted 14 Qatari SMEs to become part of their supply chain. Similarly, in 2017, we partnered with the globally-renowned entrepreneurship institution, Babson College, to launch our first edition of “Entrepreneur’s Boot Camp” in Qatar. In conclusion, I would like to add that as a development bank, we are not in a business of market share but rather in a business of market gap. In so being, we develop products and services to address the issues that are being neglected by other market players. Hence, we see ourselves and our partner organisations as complementing each other. 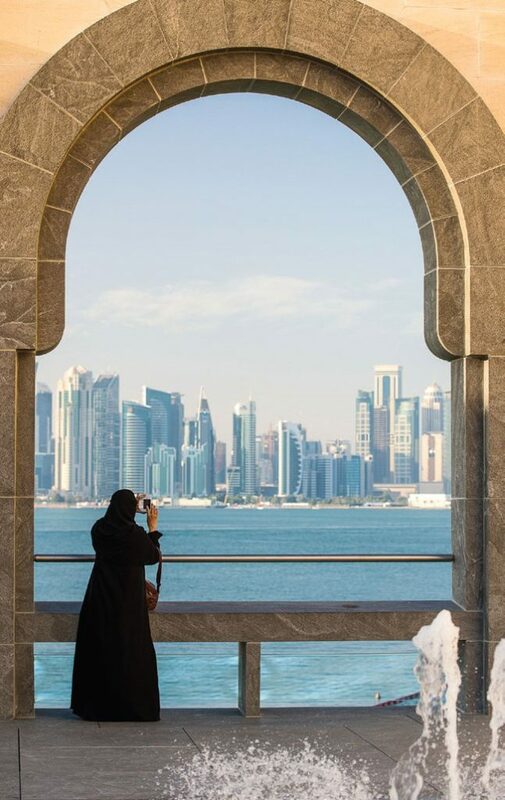 What makes you most proud of Qatar? What makes you most proud of QDB? In 2016 we were the only MENA organisation nominated at the 2016 Trade Promotion Organisation Awards to recognise excellence in trade support services. We learnt something important then. We learnt that the dream of sustainable economic development doesn’t just belong to one region, it’s universal. We are proud to have become the beacon of best developmental practices to our friends and partners in the region.